Willis, a bony 6ft 6ins with sharp knees and elbows and a cascade of curly brownish-auburn hair, was a rarity among international sportsmen: no athlete in the accepted sense, his only aptitude was bowling, and that mainly through aggression and determination. But Frank Tyson was England’s only postwar bowler who was clearly faster; and none, not even Fred Trueman, was a more intimidating sight than Willis as he charged dead straight down his 30-yard approach. 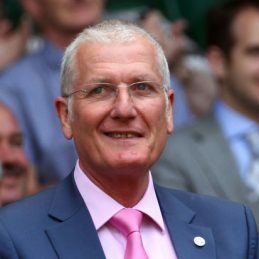 On retirement he moved into the media, and for many years formed a strong partnership with Ian Botham for Sky Sports, a sharp and humourous individual was always bubbling away just under the surface. He retired from commentary in 2006. However, his knowledge of the game is second to none and is an in demand after dinner speaker.